Looking to pack that perfect little something in a perfect little Favour Bag. yourself favour bags that are sure to add bling to your gifting. 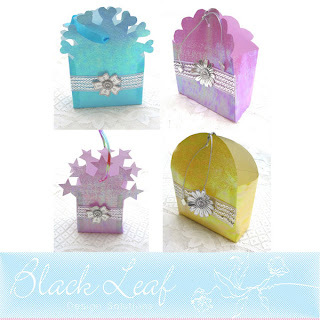 The file contains 4 different favour bag templates. Cut them out of coloured/ patterned/ foiled paper add dress them up for your celebrations. Formats: Editable SVG files for use with Cricut Die Cutting Machines and 300dpi JPG printable files. The JPG files also carry the fold/score marks, pasting and other necessary structuring instructions.